Buy 44 or more for $12.34 each. As a mom, you're in a unique position to shepherd your children. How can you meet their needs and encourage them to follow God? Offering realistic suggestions, George equips you to teach them about the Bible, talk about Jesus, and pray with and for them as you make God's desires for your family your own. 304 pages, softcover from Harvest. You feed them, bathe them, hold them, kiss them, and pray for them. Your days are spent loving and caring for your children. In all the distractions of life and the demands of being a mom, how can you know if your children will grow to follow after God? Bestselling author, Elizabeth George has journeyed through the ups and downs of mothering children into adulthood. 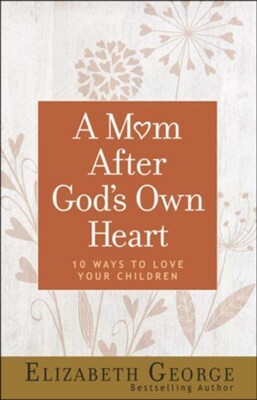 In A Mom After God's Own Heart, she offers encouraging advice and practical tips to help you raise children of all ages in the knowledge of the Lord. Here youll find . . . Mom, as you meet your childrens daily needs, know that God has given you a privileged position of influence over their livesyou guide their hearts! No matter what their ages, you can help them experience His love, blessings, and provision when you become A Mom After Gods Own Heart. Elizabeth George, whose books have sold more than 12 million copies, is the author of A Woman After God's Own Heart® (more than 1 million copies sold) and Proverbs for a Woman's Day. She's also a popular speaker at Christian women's events. Elizabeth and her husband, Jim, are parents and grandparents, and have been active in ministry for more than 30 years. Mom, as you meet your children's daily needs, know that God has given you a privileged position of influence over their livesyou guide their hearts! No matter what their ages, you can help them experience His love, blessings, and provision when you become A Mom After God's Own Heart. 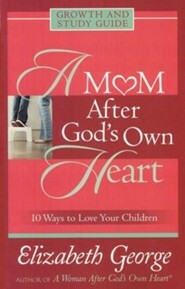 I'm the author/artist and I want to review A Mom After God's Own Heart, repackaged: 10 Ways to Love Your Children.